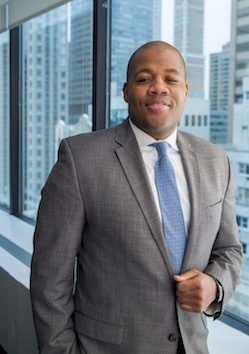 Aaron Carter joined KM&M as an associate in 2018. He has experience representing employers in connection with labor and employment matters, including unfair labor practices, union elections, wage and hour violations, and discrimination claims. He has handled matters arising under the FLSA, ADEA, NLRA, CEPA, LAD, as well as contract and tort claims. Prior to joining KM&M, Aaron was an associate in the Labor & Employment Group at Genova Burns LLC where he also represented employers. Aaron clerked for the Honorable Travis L. Francis, A.J.S.C. in New Jersey Superior Court. Aaron graduated from Princeton University with an A.B. in Religion. Following college, Aaron worked for the Democratic National Committee and various political campaigns. He received his J.D. from William & Mary Law School where he was a member of the Environmental Law and Policy Review.